Replacement antenna remote. 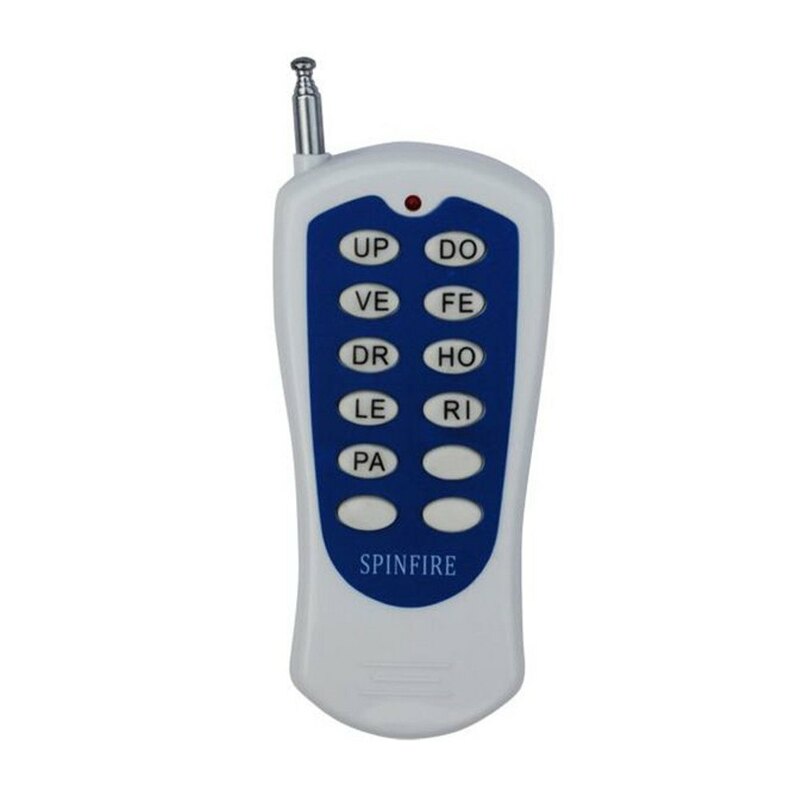 Although this remote works fine, your Spinfire Pro 2 can be upgraded to work with the new model antenna-less slim-line full-function remote for an upgrade cost of $179 that replaces this old version remote. Please see the Upgrade to the New Slimline Remote from Antenna Remote (Requires control panel return) if you wish to order this instead.